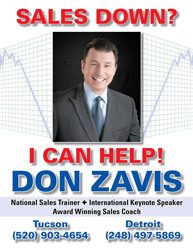 Don Zavis is a National Sales Trainer, International Keynote Speaker and Award Winning Sales Coach. 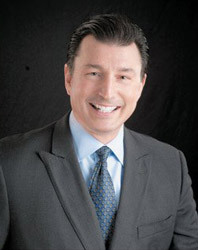 Don is an accomplished executive with a successful history of taking private and public organizations to new levels of sales and profitability. His outstanding record of hiring the highest level of sales achievers, training them to their fullest potential and consistently coaching them to perform in the top 10% of their industries. He has an unique ability to create a “sales organization” across the entire scope of the company while fostering an environment of mutual achievement and reward. His professional education includes over 5,000 hours of practical, actual training.